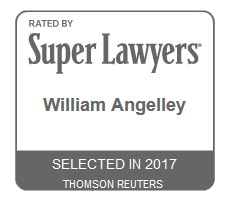 William Angelley focuses primarily on aviation and business litigation. He is a former Navy pilot who has flown more than 1,100 hours in various types of military airplanes and helicopters. In addition, as an aircraft maintenance officer for his squadron detachment, he was intricately involved with the technical workings of the squadron’s aircraft. Since leaving the Navy, Mr. Angelley has continued to fly privately and currently holds active commercial pilot ratings in both airplanes and helicopters. He has been interviewed regarding aviation issues and accidents by various national television, radio and print news outlets, including NBC, CBS, FOX, NPR, The Fort Worth Star Telegram, The Boston Globe, and The Salt Lake City Tribune. Mr. Angelley has been recognized as a distinguished attorney in his field. He is AV Rated (Preeminent) by Martindale Hubbell, and has been named a Texas Super Lawyer by Super Lawyers, a Thompson Reuters Service, each year from 2010 to 2017. He has also been listed as one of the Top 100 Attorneys in Texas by Super Lawyers in 2015, 2016 and 2017. He is rated as “Superb” by Avvo. Author, Harsh Realities of the State Secrets Privilege, Trial, American Association for Justice, September 2010. Author, Amateur-Built Aircraft Litigation Risky for Plaintiffs Attorneys, Texas Lawyer, August 16, 2010, Vol. 26, No. 20. Author, Left Behind: How Consumers Became the Biggest Losers of the Chrysler and GM Bankruptcies, Advocate, Journal of Consumer Attorneys Associations for Southern California, September 2009 (with Orla Brady). Author, The Need for Mandatory Aviation Insurance, AAJ Section Newsletter, Vol. 15, No. 2, Winter 2008 (with Justin T. Green). Author, Plaintiff Thwarts Cessna’s Preemption Arguments in Monroe v. Cessna, AAJ Aviation Section Newsletter, Vol. 14, No. 2, Winter 2007. Speaker, A Discussion of Monroe v. Cessna Aircraft Company, New York City Bar Association, June 2006. Speaker, Update on the September 11, 2001 Victim Compensation Fund and Related Litigation, Lubbock Bar Association, May 2004. Speaker/Author, Field Preemption and the Federal Aviation Regulations, SMU Airlaw Symposium, February 2003. Author, The September 11 Victim Compensation Fund, Texas Bar Journal, January 7, 2002. Speaker, Aviation Product Liability Insurance, Texas Department of Transportation Aviation Conference, June 2001. Mr. Angelley graduated with honors from Texas Tech University, and earned his law degree from the University of Texas at Austin. 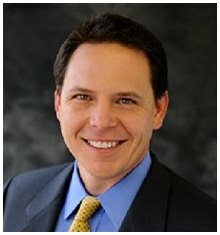 He is a member of the State Bars of Texas, New York and California, and is presently or formerly active in the American Association for Justice, the American Bar Association, the Dallas Bar Association, the Texas Bar Foundation, the Texas Trial Lawyers Association, the Los Angeles County Bar Association, and the New York City Bar Association.